Fears are normal emotions of every human being. While the feelings of fear help us, in a way, to prevent ourselves from getting injured such as handling sharp objects with care, most often than not, it prevents us from getting out of our comfort zone. It’s this kind of fear that keeps us from achieving our dreams and life purpose. Some of these fears are even irrational and unnecessary. 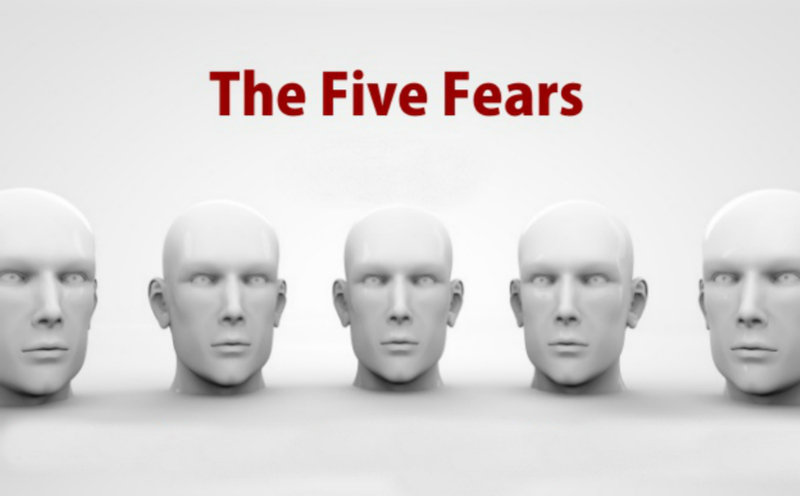 So, to keep our focus on the now and attain success in life, we need to identify those fears and face them head on. 1. The fear of letting go. As humans, we have this tendency to get comfortable with what is familiar, even if it hurts us or prevents us from getting happy. We keep holding on to the past all because we’re too afraid of letting go. Going beyond our familiar surroundings looks unbearable. But this is the shortest way to kill our dreams and purpose. Hence, don’t just dream of moving forward. Act on it. Let go of the past. Let go of the thoughts, ideas, and any beliefs that are holding you back and believe in the possibility of your dreams taking their shapes. 2. The fear of change. The number one thing that prevents us from letting go of something is the fear of change. We hate change because it means going to unfamiliar places or meeting unfamiliar people. The fear of the unknown paralyzes many of us. But it’s not enough reason to kill your dreams. You need to embrace change and allow movement and growth to happen in your life. Most often than not, we don’t take the plunge because of the fear of failure. That little voice inside our minds is comfortable in receiving less than what we deserve because it’s so afraid even to try. However, success often hides under the guise of failure. It’s when you fail that you’re more fired up to try different things, change your approach, or develop more skills. Be not afraid to try. Nobody got it perfectly the first time. 4. The fear of being different. There’s nothing wrong with pleasing other people. But when you do it as a lifestyle and do only what others approve of or think what others are thinking, you will lost the person that you are. The reason why so many of us aren’t happy is because we never give ourselves the chance to be who we are, do our own thing, or think our own thoughts. Becoming different means going against other people’s agenda. Yet, if it’s the only way for you to be happy and fulfill your purpose in life, then be different. You have a purpose that only you can fill and a skill only you can do. In time, people will see how beautiful you look because you’re no longer ‘just a face’ in the crowd. 5. The fear of unleashing your hidden potential. This kind of fear is often rooted deep within. It’s the situation where you are trying to move forward but deep inside something is holding you back. This fear is inside your subconscious, that part of you that is scared of what is going to happen once your hidden potentials are unleashed. Obviously, exposure and more responsibilities will come with your power. And your subconscious mind isn’t prepared for that, thus it’s holding you back. You need to give yourself enough reasons why you have to push forward so that every cell in your being will cooperate.